After trying to soak it in penetrating flud, heat, a block and hammer (with the obligatory smashed finger) - levers were needed - long ones. Thanks to Michael O'Hara of Rec.Sport.snowmobiles for the tip. The bottom 2x4 is 4' long - it was long enough. The top 2x6 is 27.5 inches (end to clutch center) - it was almost not long enough. I had good footing and a good pull postion and I almost was not able to turn the spider. 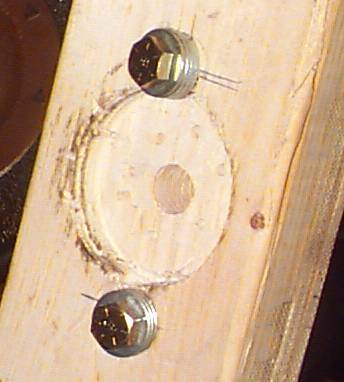 The top board was originally a 2x4 with one "spider bolt". This was not enough as 1) the 2x4 was starting to split apart and 2) the bolt was bending. Using a 2x6 I could use three bolts. 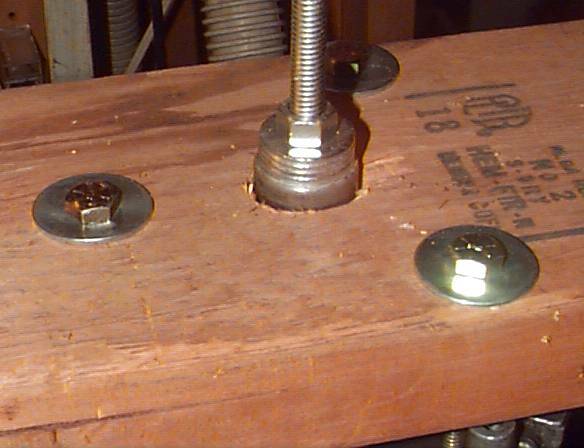 All bolts used - except the threaded rod that clamps the stationary sheave of the clutch to the bottom 2x4 are Grade-8. The standard grade (3??) would simply bend too easily. 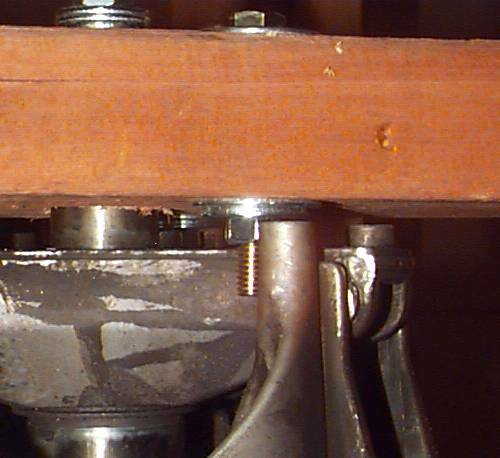 Bottom 2x4 clamped in the vice for project stability. 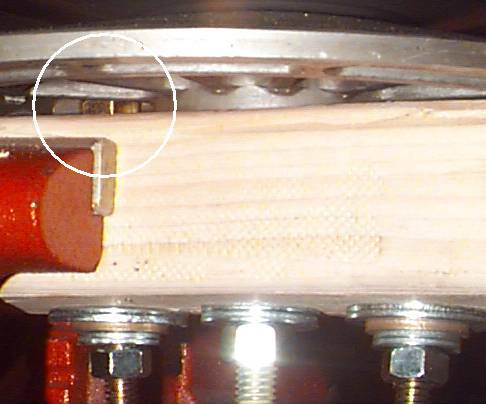 Clutch assy is fastened to the 2x4" via the 12" threaded rod through the center. 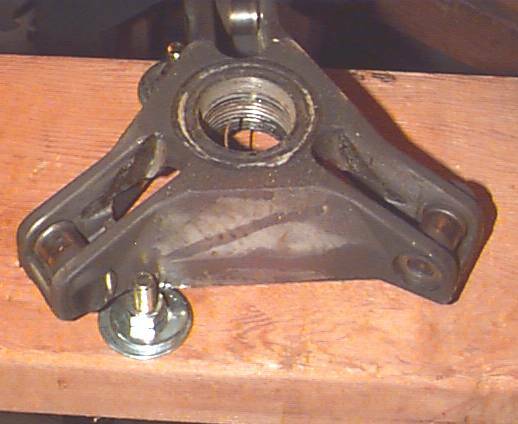 Threaded rod through the top/outer end of the clutch. 2x6 drilled to fit over the clutch shaft. 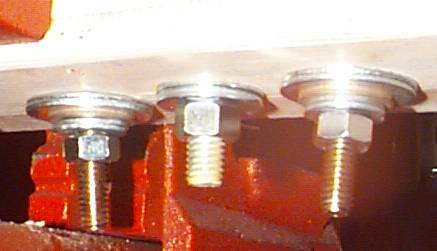 Close up showing how one of the three bolts protrudes through the 2x6 to push against the spider. 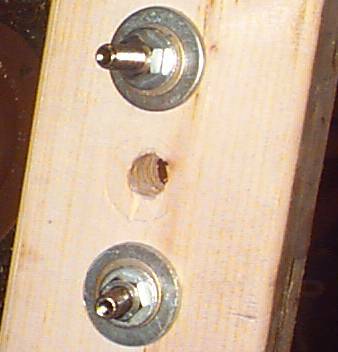 Arrangement of the threaded rod and two bottom bolts. 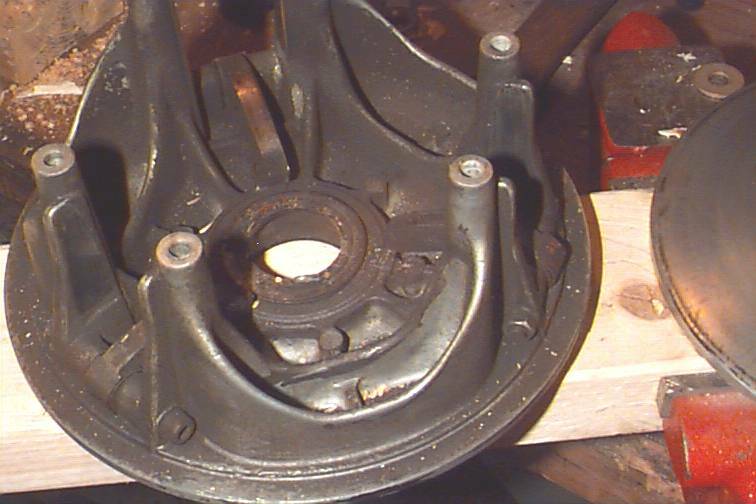 The bottom bolts extended up into the cast webbing of the stationary sheave of the clutch - keeping it from spinning. They twisted enough to mash the soft 2x4. Clutch - movable sheave. Spider removed. 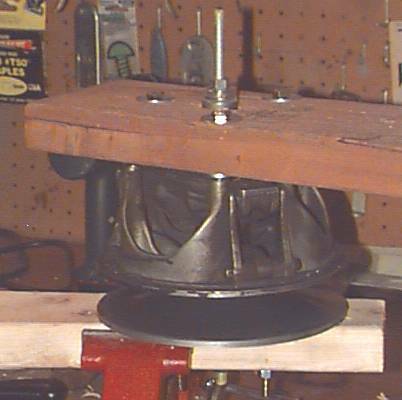 Countersinking to allow the clutch's stationary sheave to sit flush on the 2x4. 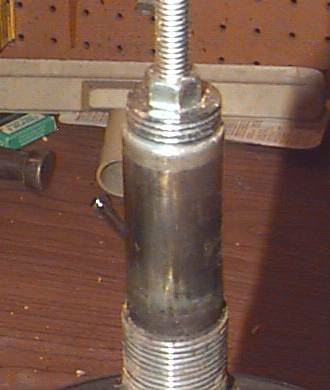 Bolt heads, washered to correct height, to keep the stationary sheave from spinning.